« Making and playing with puppets » – The incredible world of the inanimate. 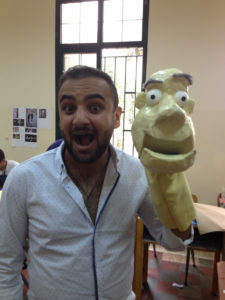 La Compagnie Traversière offers workshops of construction and introduction to the techniques of puppet manipulation, adapted to all types of public. 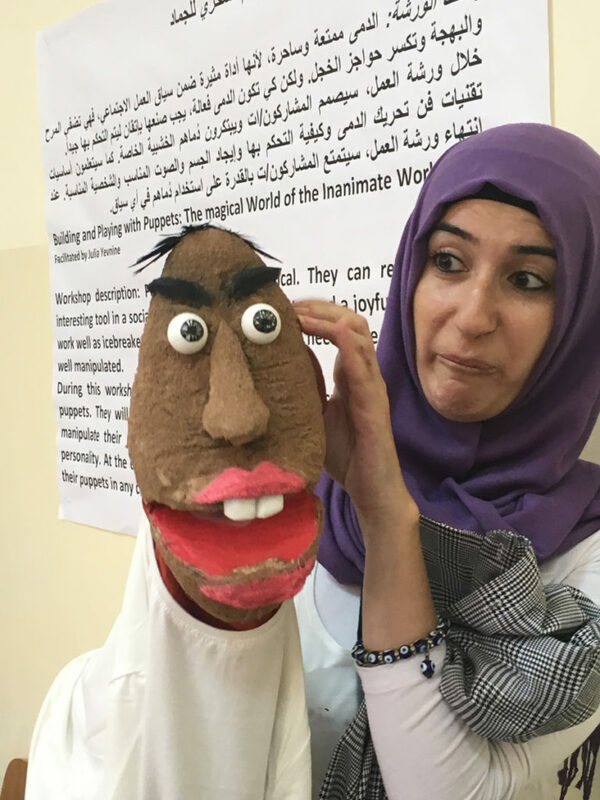 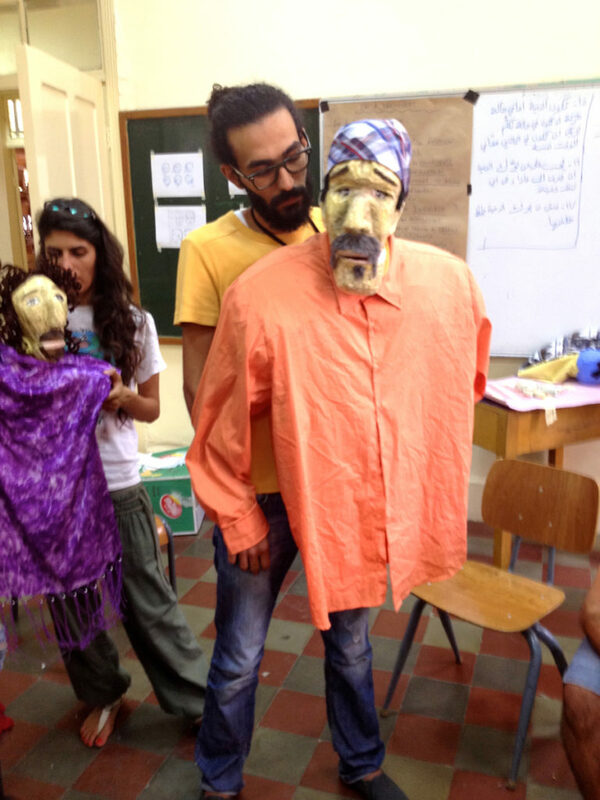 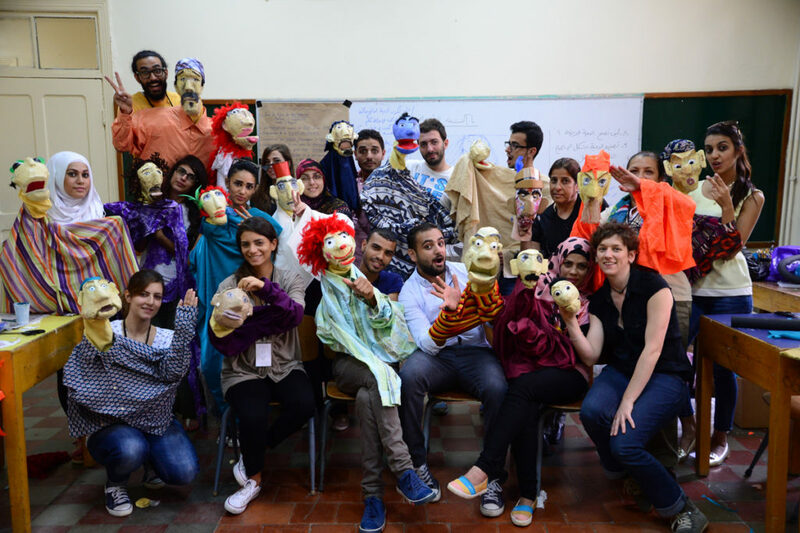 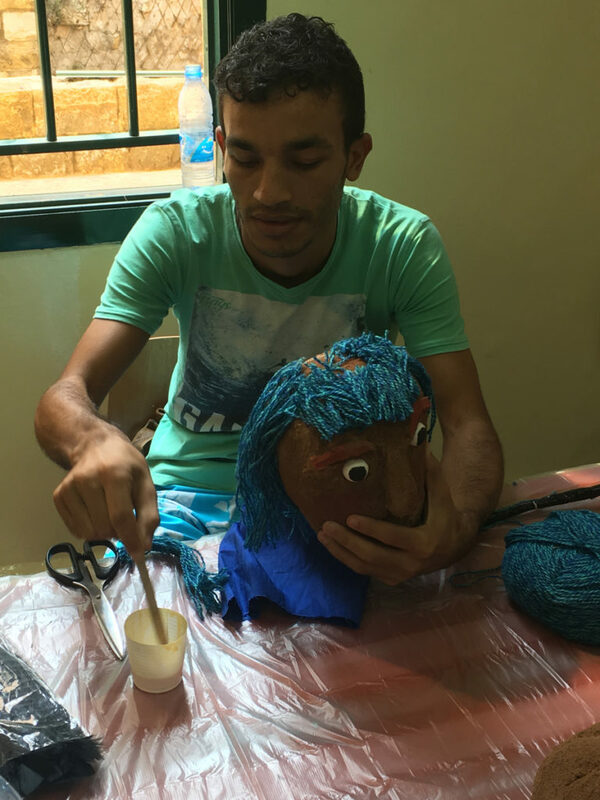 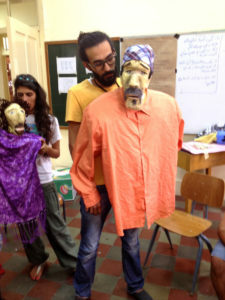 Puppetry is also a powerful tool in a context of social work. 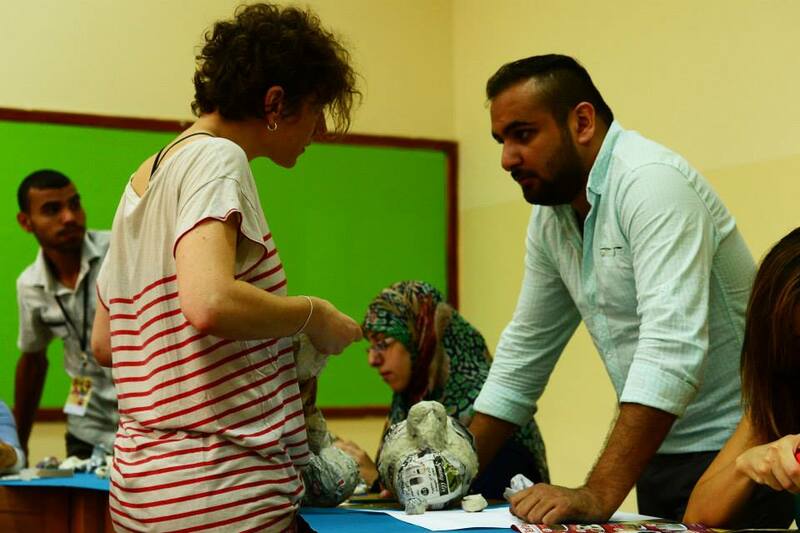 The workshops can be done in support to social work and humanitarian activities. 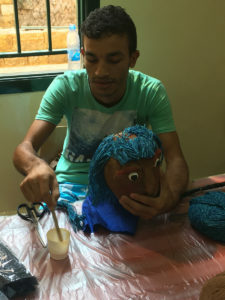 “Puppets offer physical and psychological safety that, in turns, invites greater self-expression.” Richard Bromfield, PhD “The use of puppets in play therapy”. 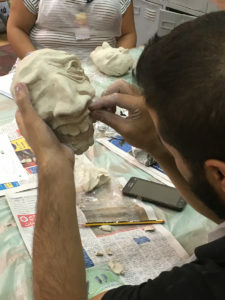 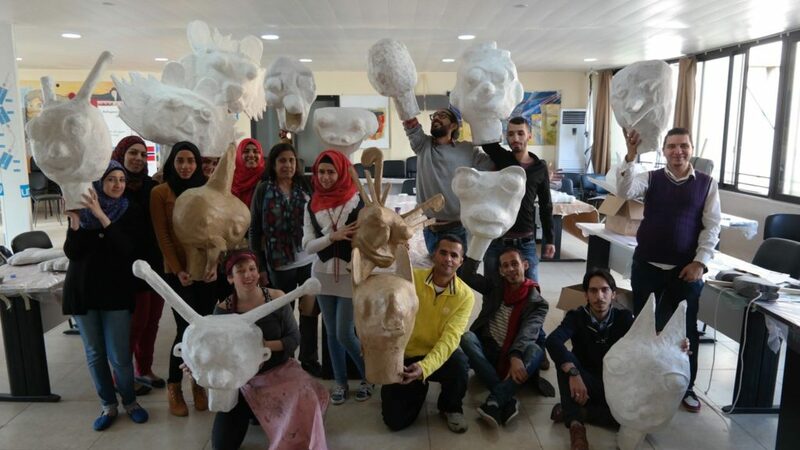 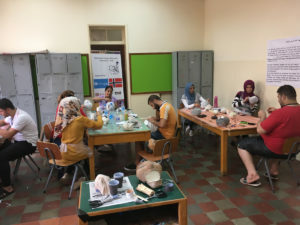 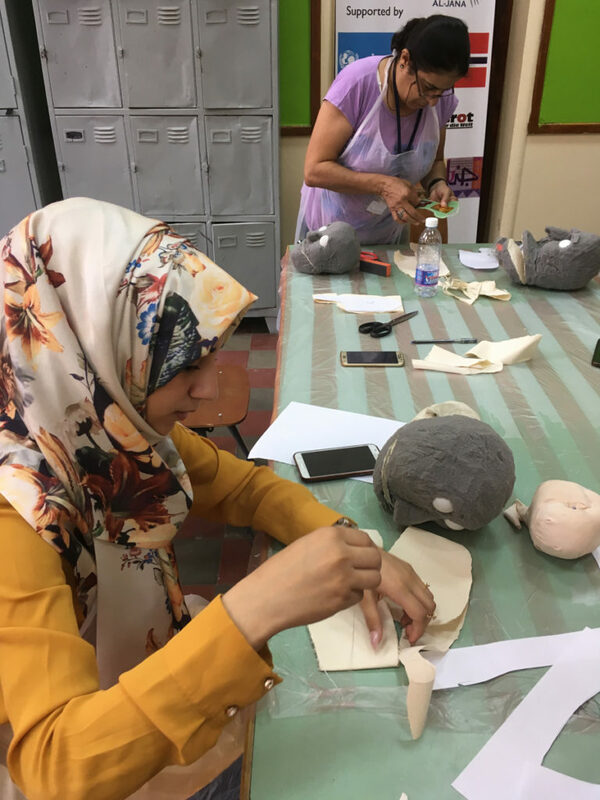 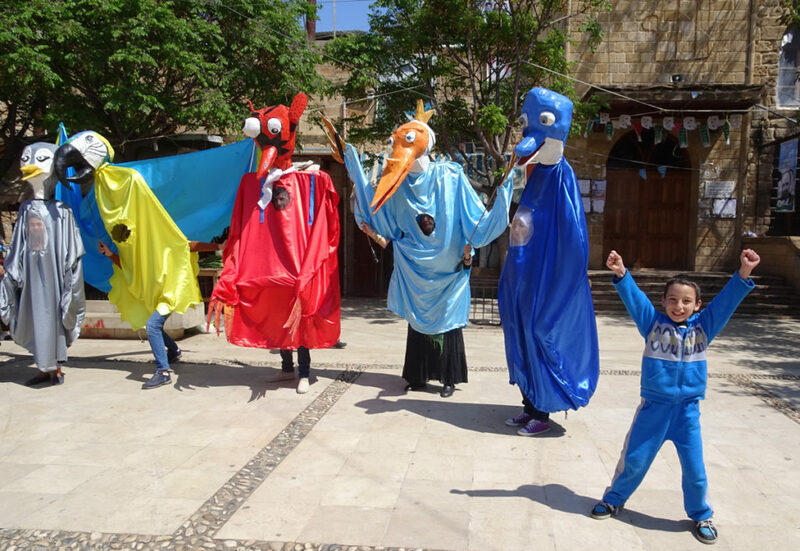 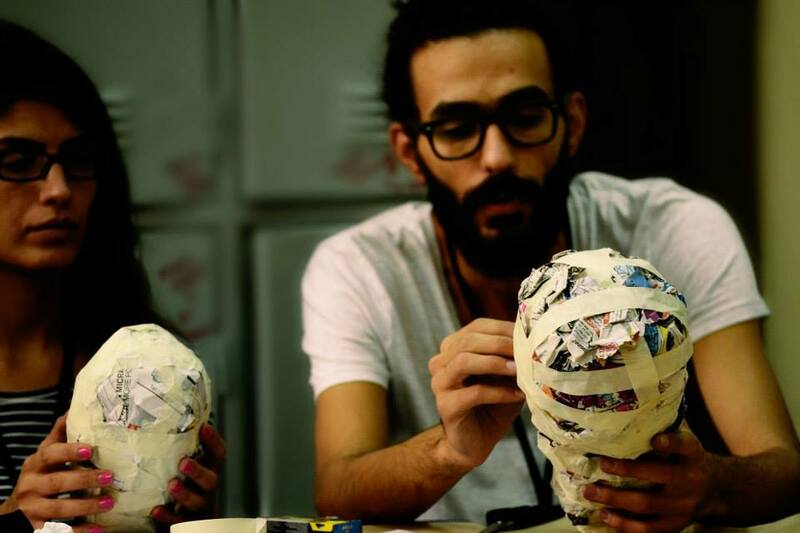 The workshops are aimed at children, adolescents, adults, actors, puppeteers, visual artists, social workers, who want to know more about this ancient art. 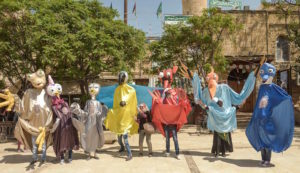 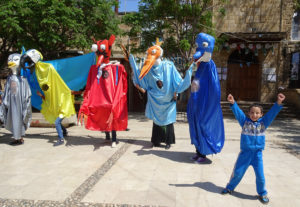 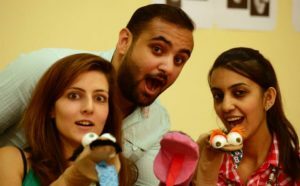 The participants will explore different types of puppetry: brown-paper man, socks and rod puppets, human-size, objects manipulation, giant street puppets. 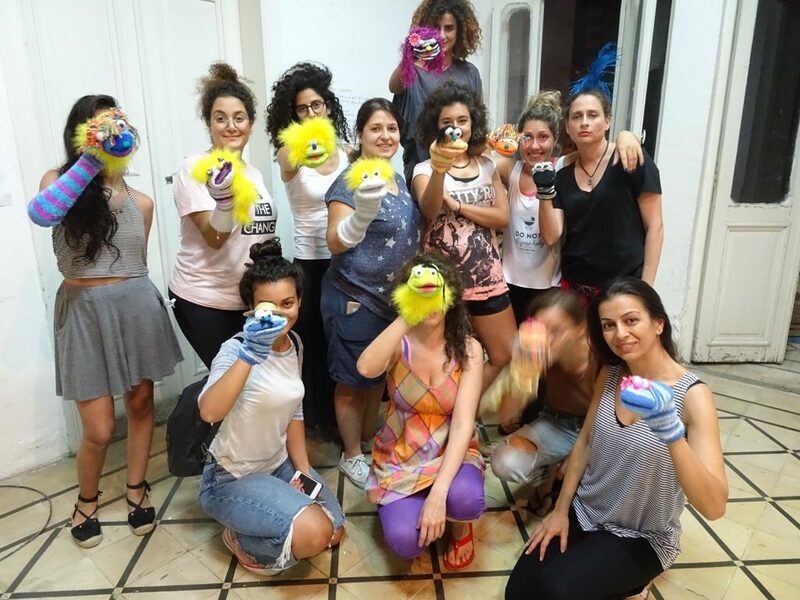 They will learn the fundamental skills of manipulation, to be able to give life to their own characters, to relate to the others and build scenes with them. 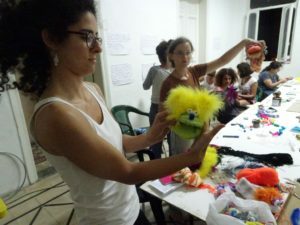 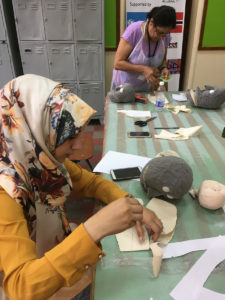 They will learn how to make their own puppets, from recycled materials: foam, cardboard, paper, pieces of fabric, objects and socks.